We have spent a ton of time this Summer at the office which is technically poolside while the kiddos play and Amy and I work on our laptops. 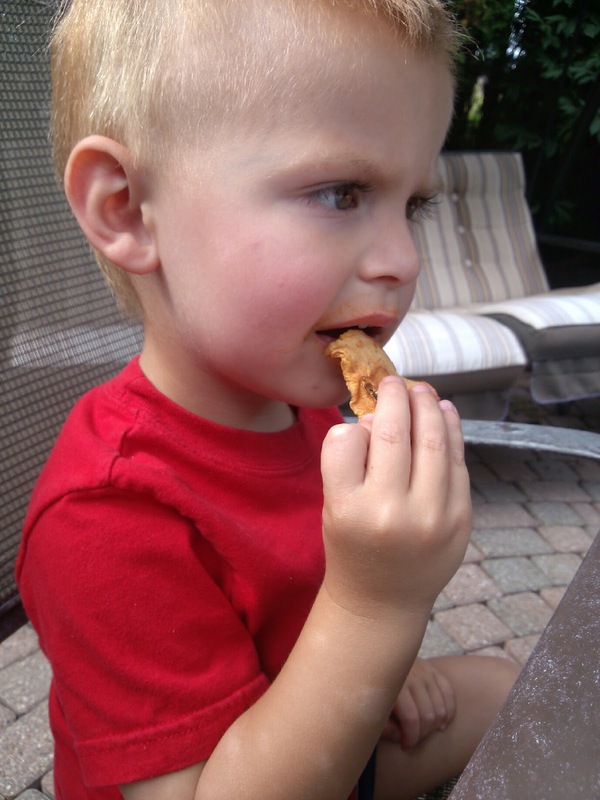 Being that we are outdoors majority of the day we want to keep the children hydrated and still eating properly. We noticed pretty early on that it becomes very easy to grab a bunch of chips and other unhealthy snacks for the kids. This is NOT something we wanted to get in the habit of. So I decided to contact Bare Fruit Snacks in hopes of reviewing one of their healthier products. "Bare Fruit Snacks are all-natural and the organic chips are certified by Washington State, the hardest organic certifiers in the country. We make every effort to be environmentally friendly and will be 100% carbon neutral in 2013." Each are low in calories, fat free, full of fiber, and even when additional flavoring is added it is organic cinnamon and other natural flavors to keep it as “good-for-you” as possible. 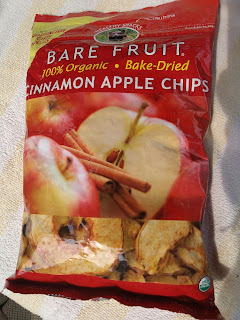 Bare fruits gladly sent me over their Cinnamon Apple Chips to try in a HUGE 14 oz bag. I was beyond happy to break these out the next day poolside. I was even happier to see the easy open and close seal so these would stay fresh (if they even lasted that long). Not only did Amy and myself love these but they were a huge hit with the kids. I loved that they didn't taste like your normal cheap freeze dried apple chips but like an actual dried fruit piece (as it's obviously stated on the front of the bag too)! 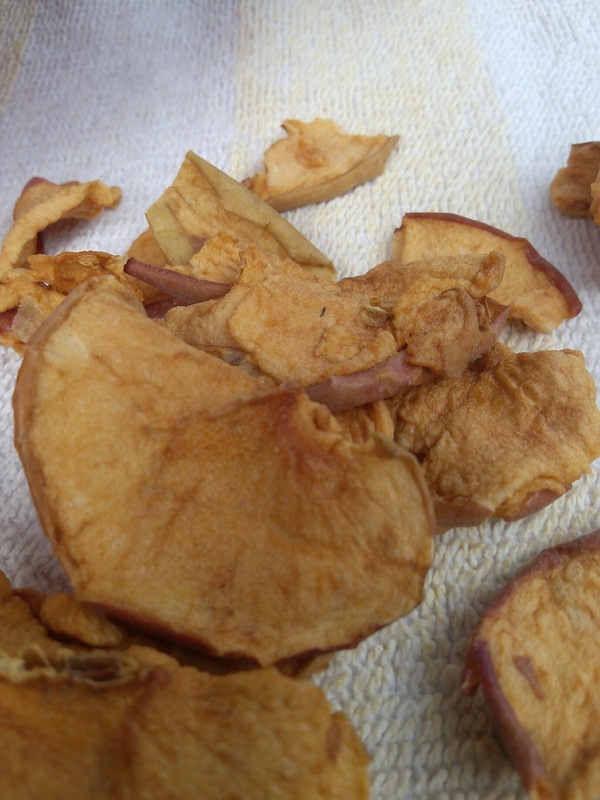 These had such a sweet flavor so much that they tasted like a treat! Recommendation: Not only did I love knowing what I was eating as well as where it came from but I loved the fact that they are socially responsible and environmentally conscious as a whole corporate company. I would definitely recommend these! Giveaway: Bare Fruit Snacks is going to give one of A Lucky Ladybug's lucky readers a case of apple chips of their own! I don't like the dark green color for some of the words--they're pretty hard to read!